Premium Heavy Equipment. Premium Service. Premium Clients. 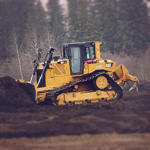 ConTrac Equipment Ltd. is a leading supplier of premium rental and used heavy construction equipment in Western Canada. 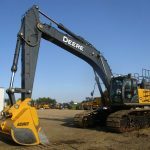 We provide the heavy construction equipment market with an independent source for late model units from mainline manufacturers. Our sales and support teams have been handpicked for their knowledge and experience. They have the skills and drive to provide the best customer support in the industry. From pre-job equipment selection planning meetings to after-hours on-call support we have the teams and processes to provide the best equipment rental experience in the industry. 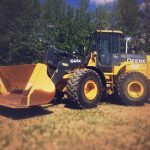 Our rental equipment line-up includes a variety of dozers, excavators, articulated trucks, wheel loaders, graders, and packers. 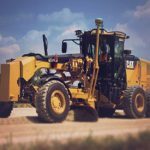 Our fleet has grown to over 250 units and we have the equipment to meet your needs. All equipment is meticulously maintained by our service professionals, resulting in high-quality equipment that’s always ready for rent or purchase. We are centrally located in Spruce Grove, AB, with easy access to HWY 16 and HWY 2. 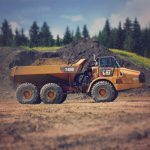 Edmonton is only a few minutes away with OEM parts and other dealer resources easily accessible for us and our heavy construction equipment rental customers. ConTrac Equipment Ltd. is here to provide a premium equipment rental experience to our clients through our expertise and dedication.